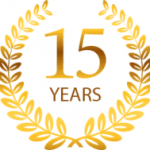 15 Year Anniversary & Re-Branding Open House! February, 2nd from 5pm to 7pm. Celebrating 15 YEARS OF YOGA LOVE with our Open House! We are excited to formally announce Bikram Yoga Bend has changed our name to Bend Hot Yoga – A Wellness Center. Come to our OPEN HOUSE Saturday, February 2nd from 5pm to 7pm to gather and celebrate! There will be live music, snacks, and a raffle!